We will welcome you in Cape Town and transfer you to your glamorous and sophisticated hotel. You will stay in the Cape Grace Hotel. This hotel is known for its meticulously crafted accommodation that gives full expression to Cape Town's rich legacy. 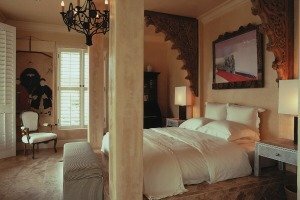 Each one of the uniquely designed rooms have been inspired by the charm and wonder of the South African and Cape heritage, inviting travelers to discover and connect with the history and culture of this fascinating region. Explore wonderful Cape Town at leisure. A Lion World Travel Africa Specialist will be pleased to assist you in planning a wonderful day of sightseeing. You may ascend Table Mountain for panoramic views of the city and Atlantic Ocean. Perhaps take a city tour to see the Cape Castle and photograph the colorful Cape Malay Houses. Or visit the bustling Victoria & Alfred Waterfront to browse or shop and end the day with a lovely waterfront dinner. Today you will set off for a day of discoveries and scenic splendor en route to Cape Point. Drive past the beaches of Clifton and Camps Bay and over Chapman’s Peak drive where the vistas are dramatic. At the Cape Peninsula climb the steps or ride a funicular to the top for unparalleled and breathtaking views of the crashing waves below the cliffs and the Cape of Good Hope Nature Reserve. 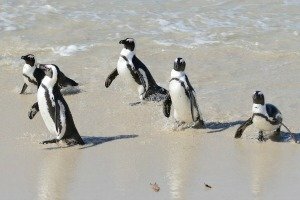 Return towards the City, visiting the endearing penguin colony at Boulder’s Beach – everyone’s favorite! 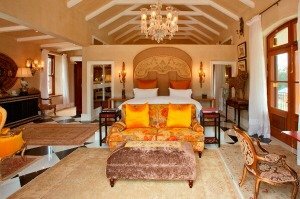 After breakfast, transfer to Franschhoek’s exquisite La Residence hotel set on a private wine estate in the beautiful Franschhoek valley. Eleven ultra-luxurious suites boast restful views over the vineyards, olive orchards and lavender fields. As you step into the main hall you will be transported to a world of exquisite beauty, opulence and grandeur in this luxury Franschhoek hotel. Enjoy a delicious lunch of tasty seasonal fare at La Residence. This afternoon explore the beautiful village of Franschhoek distinguished by its fine colonial architecture. Find amazing art and antique shops and galleries. 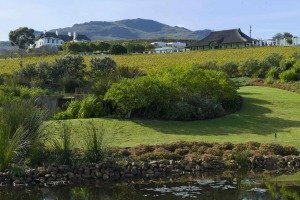 This morning you will enjoy a private tour to picturesque Stellenbosch, the second oldest town in South Africa. Explore the history and shops as you meander through its charming streets. 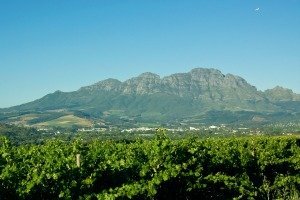 The heart of South Africa's wine industry, Stellenbosch is a place of great beauty and culture that's steeped in South African tradition. The Stellenbosch Wine Route is arguably the country's most famous, and the area includes 106 cellars. Enjoy a day's wine tasting, wine buying and observe fine examples of Cape Dutch architecture. After breakfast today you will transfer to Birkenhead House perched high on the cliffs of Hermanus, a charming seaside town. Accommodation delivers the utmost luxury for those seeking a superior seaside experience. 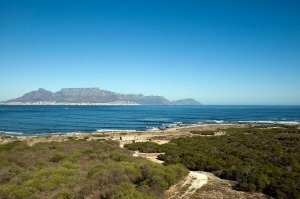 Spectacular mountain and sea views surround you and beautifully furnished suites offer vistas of either Walker Bay or the towering Kleinrivier mountain range. Hermanus is the home of the Southern Right Whaleand whale enthusiasts and nature lovers from all over the world visit Hermanus to enjoy these magnificent creatures playing and frolicking close to shore between the months of June and October. Hermanus is the best land-based whale watching destination in the world, and is known as the heart of the whale route. Hermanus has become renowned for housing many artists and writers so you can visit many interesting Galleries. A local wine tour to The Hemel-and-Aarde Valley is a best kept secret. Here you will meet the wine makers and taste the wines at a private wine tasting at Bouchard Finlayson wine estates, a sister company to Lion World Travel. Perhaps take an unforgettable boat journey to the domain of the Southern Right Whale or witness them from the shore between July and November. Nearby, Grootbos Nature Reserve is the largest private fynbos conservation area in the world. 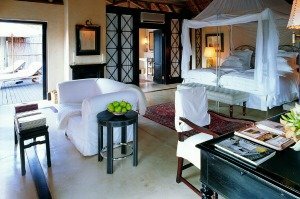 This morning transfer back to Cape Town for your flight to Hoedspruit, the start of an unforgettable safari experience at Royal Malewane Safari Lodge and Spa where palatial suites find easy residence in the African bush. The lodge exudes the romance and beauty of a bygone age whilst offering every modern-day comfort and convenience. Gourmet lunch is followed by an afternoon open vehicle safari into this wilderness paradise. Game drives are tailored to suit your interests, so you can track your favourite animal or see the birds, flowers or trees that you love most. Morning and afternoon safaris provide awesome close encounters and amazing photo opportunities of Africa’s wildlife which is plentiful in this pristine Reserve. The reserve boasts an astounding number of species of mammal, including the so-called ‘Big Five’, as well as more than 500 species of birds. The surrounding landscape has a rough, wild beauty that captivates and exhilarates; the Drakensberg Mountains loom large on the horizon. To engage with the landscape even more intimately, explore the bush on foot with expert guides and trackers. Another day on safari where every game drive is a unique and exciting experience. Between game drives relax at the pool or rejuvenate at the spa. Sumptuous gourmet dining paired with the finest of South African wines enhances this breathtaking experience. 2019 internal air arrangements, economy class per person $847 for: Cape Town-Johannesburg-Hoedspruit-Johannesburg.